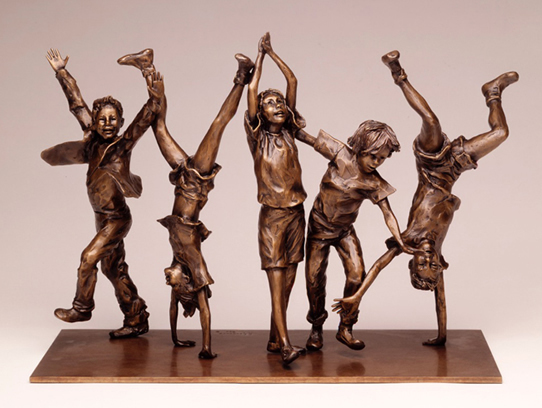 The Artist's Proof of "Olympic Wannabes Maquette" has just been released for sale by Glenna Goodacre from her own personal collection. 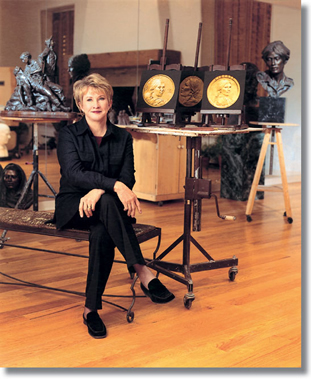 Created in 1995 by this acclaimed American sculptor, this sought after Maquette was the inspiration for the larger-than-life-size "Olympic Wannabes" Glenna Goodacre sculpted in 1996. Glenna's release of her "Olympic Wannabes Maquette" is a rare acquisition opportunity for art collectors. Pictured left is the Maquette of the Women's Vietnam Memorial. The Maquette was the design for the larger-than-life-size Women's Vietnam Memorial installed in 1993 on the Mall in Washington, DC. An extensive selection of Goodacre's limited editions are now on exhibit in our gallery.